Used to be that we'd get loads of war games based on World War II. Despite being an ugly conflict full of large-scale action and human drama, World War I never got as much consideration from video game creators. 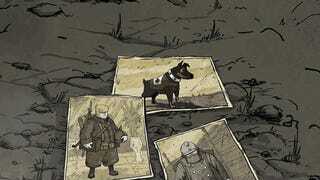 Valiant Hearts is going there, and it's going to look damned pretty in doing so. We usually don't run developer diaries much here on Kotaku but there's so much charm in Valiant Hearts' art style and animation that this promo clip feels worth sharing. There's also something appealing about the fact that the developers on the team are using the creative process to reckon with something that affected their own families and national consciousness. Hopefully, all of this potential pays off when Valiant Hearts comes out on June 25.